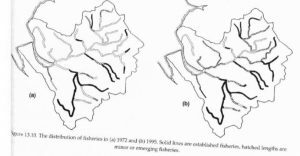 The Mersey Fisheries – Have We Ever Had It So Good ? Today 16th June 2018 is the first day of the 2018 river fishing season for coarse anglers – if you get the opportunity to get out fishing today just spare a thought to the past and how far we have come…. Tight lines everyone – happy new fishing season..